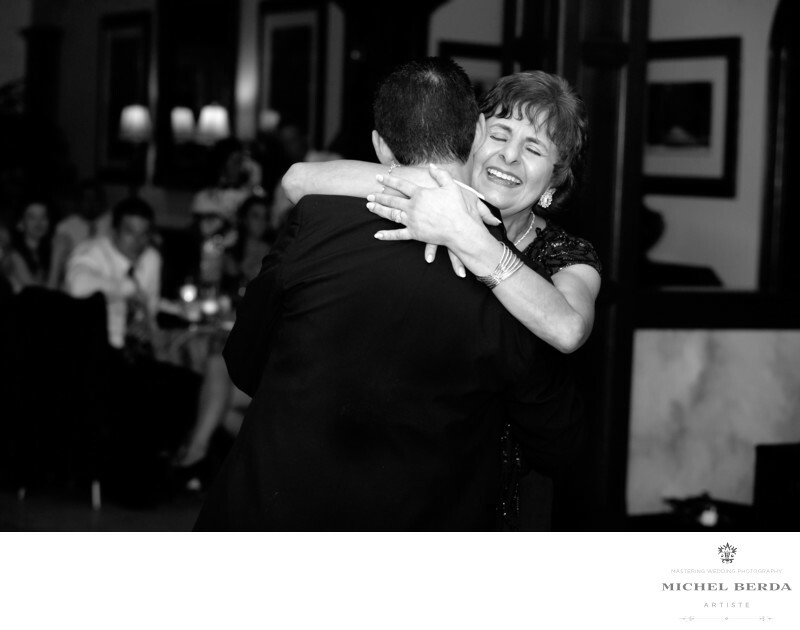 The Mother and son dance at a wedding and the emotions between them both, can be one of the greatest capture for a reception. I had been commissioned by her now daughter in law and her when they came to a wedding show in Hilton Head, Sc. At this 2014 Port Royal Golf Club wedding in Hilton Head,Sc, the groom invited his mom for their dance and being an Italian family also known as La Familia, it is a huge moment for them both, while they were dancing I captured many great reception photos, but non like this image you see, my style as never been about quantity, and I never have taken any of my cameras in my 16 years of photographing weddings, into the mode of continuous shooting or as they call it rapid fire. A wedding should never be treated like a sport event, and as I have mastered my craft, you realize that by capturing multiple images in matter of seconds you will spend more time editing then doing what you do best, by giving your clients different images and capturing the right ones. This is why I love this mother and son dance wedding reception image, you realize by this image captured at Port Royal in Hilton Head, Sc, that they both were so looking forward to this moment, that mom loves her son, and is so happy, by dancing with him she is glad this big day has come.Keywords: Destination Wedding Photographer (117), Port Royal Shipyard Hilton Head Sc (6), Port Royal Shipyard in HHI Weddings (6), sc (309), Wedding photographer In Hilton Head (66), Wedding Photographers (198), Wedding Photography (123), Weddings (168).